Lopa Banerjee. 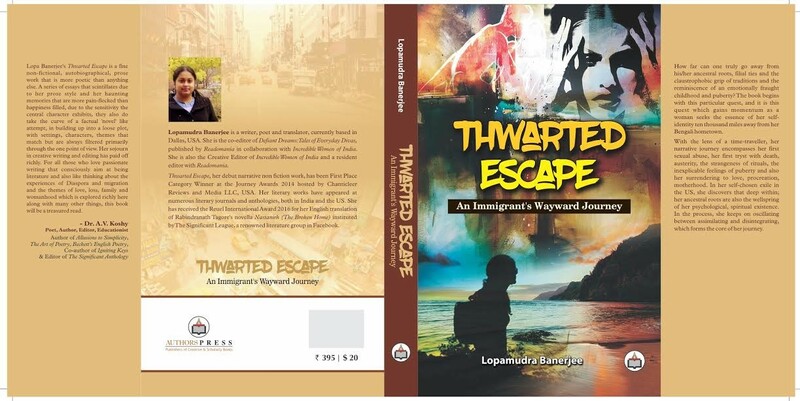 Thwarted Escape: An Immigrant’s Wayward Journey. New Delhi: Authors Press India. 2016. Is going abroad immigration or a planned escape? Is it running away from your sordid present and self into a promising future and a new self? An entry into a positive present and self in a new territory? Are not humans ready to flee and seek fresh pastures? Every journey signals the search for a better destination, a better ideal, some distant goal. It also signifies progress. Economic migration; migration by marriage; migration within/without a country---they all involve strategies of disappearance and then resurfacing with new identities. Some call it exile. Exile into the obscure, the unknown. These are terms of debate of any transnational journey. Let us talk of the title of this memoir. Thwarted Escape. The intriguing heading somehow reminds me of a well-known and oft-discussed literary escape---the staged death of a female writer/protagonist in the year 1976 and her flight into Italy under another assumed name. I planned my death carefully, unlike my life, which meandered along from one thing to another, despite my feeble attempts to control it. My life had a tendency to spread, to get flabby, to scroll and festoon like the frame of a baroque mirror. Well, Joan Foster has got the ingenuity of arranging her own death, because she has got the fertile imagination of a gothic-romance writer. It comes easy if you are in control as an author and can plan fictional beginnings and endings for your characters. Joan Foster, by faking death and a past she wants to evade by that closure, becomes a character in an unraveling plot that keeps the readers of LadyOracle enthralled. Escape-artist Joan has impressed critics interested in feminist reading of the cult novel by Margret Atwood. Death closes a book and a life history. Staged death liberates and inaugurates an escapade, an odyssey. A female conducting her own death with clinical precision from a stifling environment sounds a modern fairy tale of evasion and escape---into a planned sequel, posthumous. Few women---or men---can afford that kind of elaborate fiction in real time. But it underlies the existential drama across centuries---migration as some sort of escape from some depressing fact. 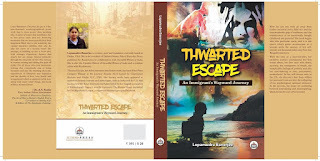 Thwarted Escape is a frank and honest chronicle, a bold documentation of young Bengali girl’s transition through wedding into womanhood, motherhood and a successful author recalling a frenzied escape from Kolkata into beckoning USA. And it a story that grips. Although the author insists it to be a memoir, it can be read both as a memoir and a fiction. Well, every act of writing---memory released from the tyranny of time---comes sprinkled with star dust; the act of remembering an act, episode or incident---real or heard or imagined---involves selection and elimination---and finally artistic presentation like some grand meal well-seasoned and visually appealing. 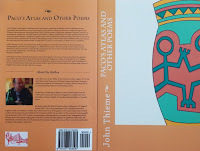 This book has the same kind of intensity and lyricism that attend any creative act---fictional or real. Lopa Banerjee, as subject/object of this powerful female narrative of desire, longing and reality, deftly reveals the contours of such epic journeys undertaken by ordinary folks everywhere in the world; remarkable accounts of survival, hope and disappointment--- the problems of migration, nostalgia and adaption to an alien setting that demands assimilation and conformism to the dominant culture. Migrants are split into two roles, twin identities and expectations of a host community to act like them. Social role playing at its best. Migrants---the transplants that ably survive harsh climate of adopted home country. Lopa pays tribute to that pioneering spirit. The grit. The will to adapt and embrace. New beginnings are not easy either. Inhabiting two identities, pulled by two different worlds, the in-built dualism of a migrant’s existence can be taxing even for the most upwardly mobile. If the immigrant happens to be a coy bride from Bengali bhadralok transplanted within hours into another soil and setting, adjustment and accommodation can be very challenging---but not impossible. The struggles, the memories, the oscillation between present and past becomes productive for a creative being---but a burden for a sensitive soul unable to express the pressures of a hyphenated existence in a global melting pot. Exile tries to overcome that feeling of estrangement, of being an alien and attempts rapprochement. The refugee---her word---stakes her claim for ownership of a foreign earth, in the name of common humanity! For Lopa, the location/relocation matrix proves fertile ground for her debut book, lyrical and fast-paced like a Bob Dylan song.Those core experiences of re-inventing another self and slow severance from the lingering old realities of a post-colonial country and a clichéd middle-class life there form the basis of the book Thwarted Escape. me to death with her betrayals. It is a book that will talk to you on lonely nights, when you remember somebody close that left for a foreign shore. It is a story of every migrant, more so, of women going abroad for running homes of rank strangers, lovingly reclaimed later as their soul-mates, in the odd tradition, the strange logic of arranged marriages of India. The book is an ode to Kolkata and America by a woman writer making waves through her solid writing. Thwarted Escape celebrates polyphony and open form of narration as practiced by Lopa Banerjee, ten thousand miles away from her beloved Kolkata, and by now, a successful writer and Indian-American woman, part of a multi-ethnic space, doing her multiple roles. And a daughter in a remembrance mode. It is a joy, listing to her solemn voice!